My background is in astrophysics. I studied Physics with Astronomy at Dublin City University before completing a PhD in Planetary Science at Imperial College London. My thesis describes a range of analytical techniques applied to meteorites with the aim of finding similarities or differences between family types. What’s you role at the British Library? As Imaging Scientist I use a range of imaging techniques to contribute to scholarship and to enhance the interpretation of the Library’s collections. Multispectral imaging, digital microscopy and post-processing imaging techniques such as colour space analysis and principal component analysis have uncovered information previously undetected. I routinely image watermarks, faded inks and erased or covered writing to enhance and clarify what can be partially observed with the eye. 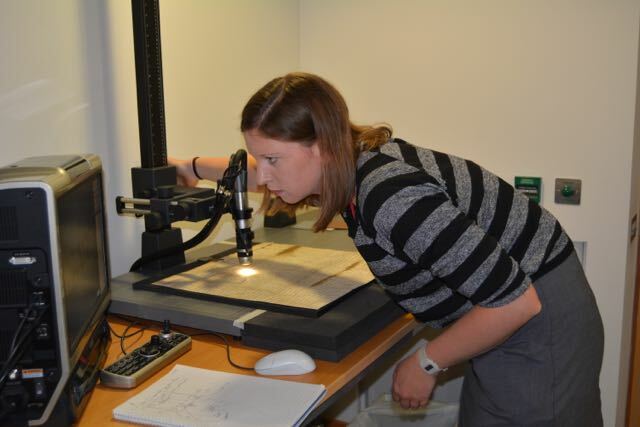 I work across most departments of the library regularly meeting with curators and conservators. The most exciting project I have worked on has been the Magna Carta Project in preparation for this year’s 800th anniversary. 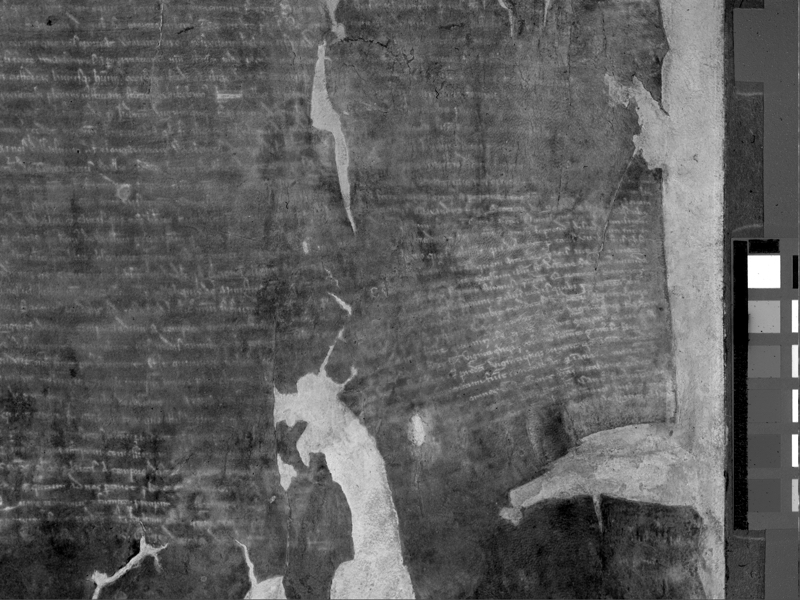 One of the original 1215 Magna Carta manuscripts was partially damaged in a fire in 1731, and subsequent restoration attempts further contributed to an almost complete loss of text. 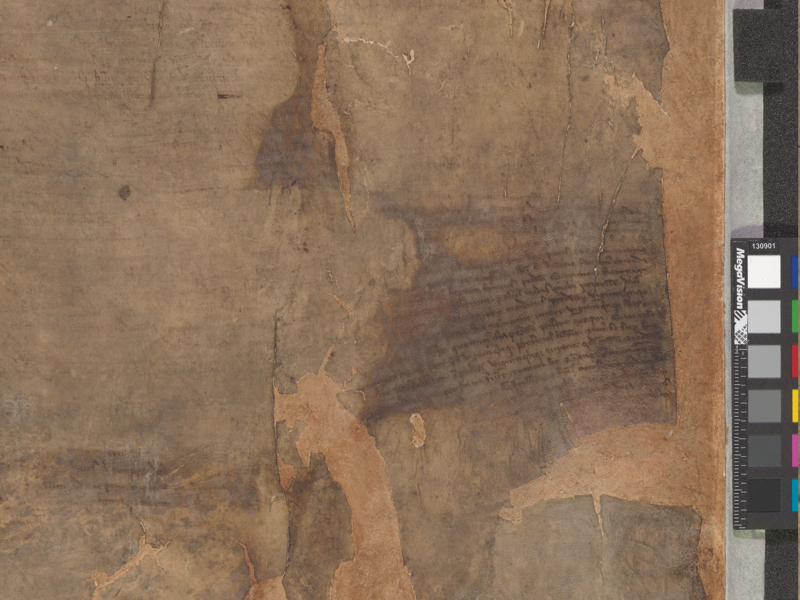 We imaged the charter at high resolution and after much post-processing work were able to recover much of the text. Although we knew what the words were going to be, it was thrilling to be able to compare scribal differences with the other three original 1215 Magna Carta manuscripts (two at the British Library, one at Lincoln Cathedral and one at Salisbury Cathedral), which came together for the first time in February 2015 as part of the anniversary celebrations. Fire damaged copy of Magna Carta. Only a portion of text remains visible. I’m inspired by the medieval parchment makers, scribes and illuminators who are responsible for the incredible manuscripts that exist today. The level of detail and decoration is jaw-dropping, and the patience required in order to achieve such high quality products must have been astronomical! In a sense they were the heritage scientists of their day; figuring out the best inks, materials and methods to use in order to preserve and record the information they had for future generations to enjoy and learn from. It really resonates with me that although technology and ideas of best practise might be different tomorrow, it is always important to do our best with the tools we have available to us today. My job allows me to see things for the first time that nobody else in the world has ever seen. It really is exciting to be able to discuss the results with leading international experts on topics ranging from the Ming Dynasty to Medieval times. It’s a great privilege to know that I’m contributing to the world’s knowledge in some small way.